Senior officials of South and North Korea met at their joint liaison office Friday and discussed pending cross-border projects as well as the situation on the Korean Peninsula, the unification ministry said. During the meeting at the liaison office in the North's border city of Kaesong, South Korean Vice Unification Minister Chun Hae-sung and North Korean official Hwang Chung-song agreed to work together to ensure that various inter-Korean projects will move forward smoothly, the ministry said. 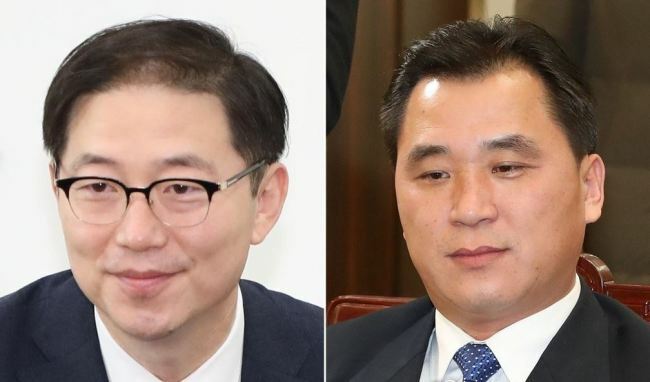 Chun is the South Korean chief of the joint office, and Hwang is a deputy to the North's chief. "Both sides comprehensively discussed pending issues that have arisen between South and North Korea, as well as other trends related to the situation on the Korean Peninsula, including recent consultations between the North and the U.S.," the ministry said without elaborating. The meeting followed the arrival of a top envoy from Pyongyang in Washington on Thursday, apparently for talks with Secretary of State Mike Pompeo to set up a second summit between U.S. President Donald Trump and North Korean leader Kim Jong-un. One of the key topics that was expected to be discussed at Friday's meeting was Seoul's plan to provide the North with 200,000 doses of the antiviral drug Tamiflu, but the ministry provided no further details of the discussions. The drugs had been scheduled to be sent to the North last week, but delivery was postponed due to a need for more preparations. Officials said the shipment is expected to take place next week.